In collaboration with Hiba Abdallah, as part of ArtPrize in 2017. 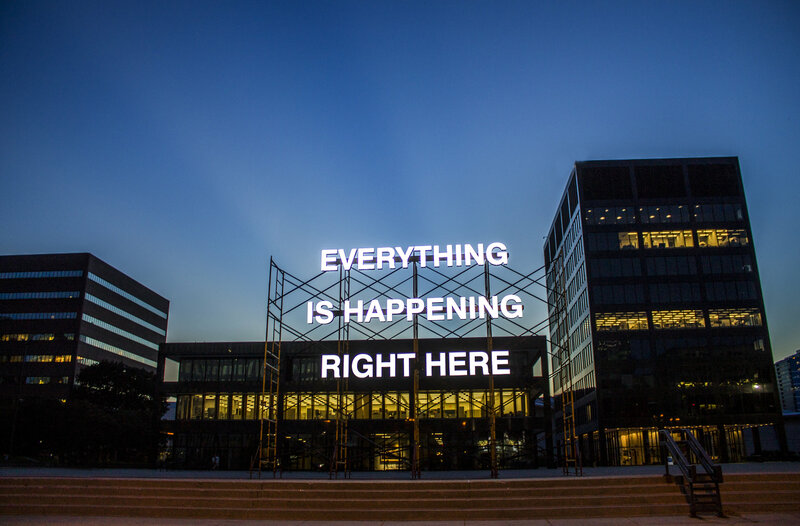 Sited at city hall in Calder Plaza, Grand Rapids, MI, the phrase “EVERYTHING IS HAPPENING RIGHT HERE,” is lit by laser cut LED letters affixed to a temporary aluminum scaffolding. The piece reflects on the use of plazas as both a site of communal gathering and one of protest. The text lends itself as an opportunity to add complexity to social understandings of the spatial conditions that form our understanding of “place” today.